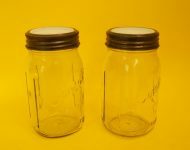 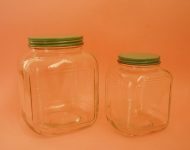 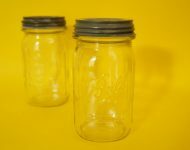 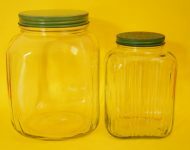 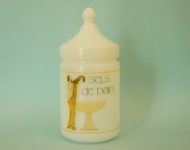 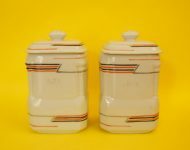 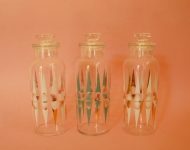 I love these jars so much that for a moment I was tempted to get rid of my beloved green lidded jars and replace them with this lot – in fact I went so far as to try them out in our kitchen, but we have a bizarrely large kitchen (considering how much we cook!) 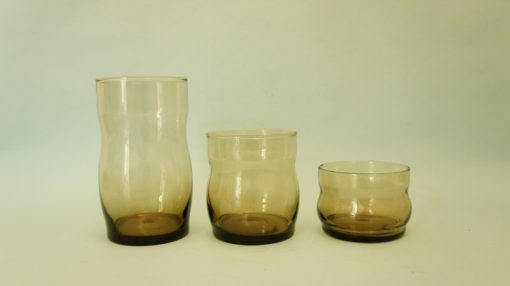 so they just looked a bit lost. Had our kitchen been a wee bit smaller they’d definitely have been mine, all mine! 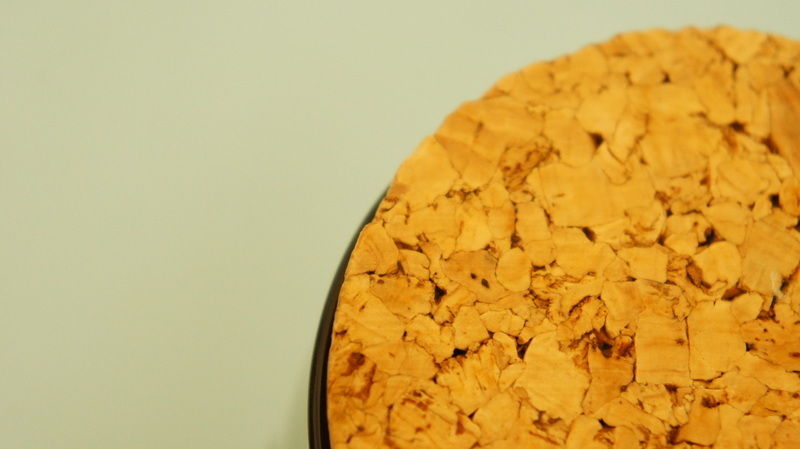 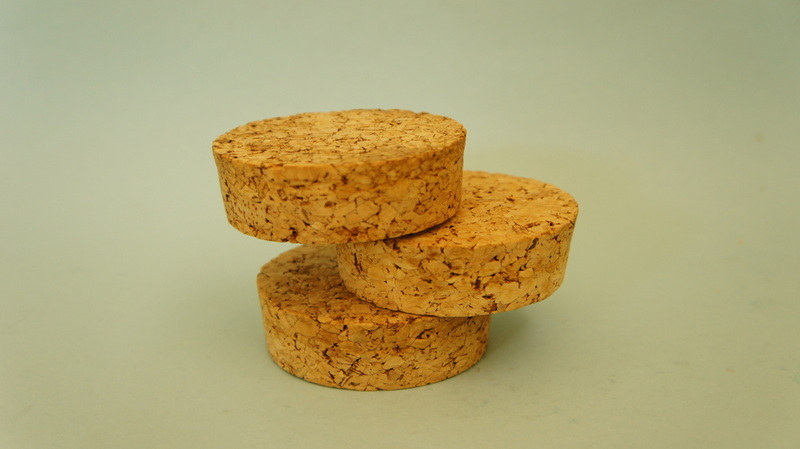 You would think that the cork lids date them, but in fact you see cork used more and more these days – a while ago Entrepo in Hyde Park had a great selection of cork kitchen accessories – so in a way they look quite contemporary. The cork is also in excellent condition, with only minor nicks along the edges. The glass is also in great nick, and has a wonderful smokey grey colour to it. 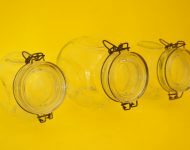 And if you’re worried that three jars isn’t enough (you can never have enough jars!) 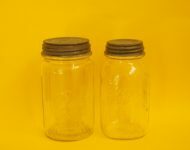 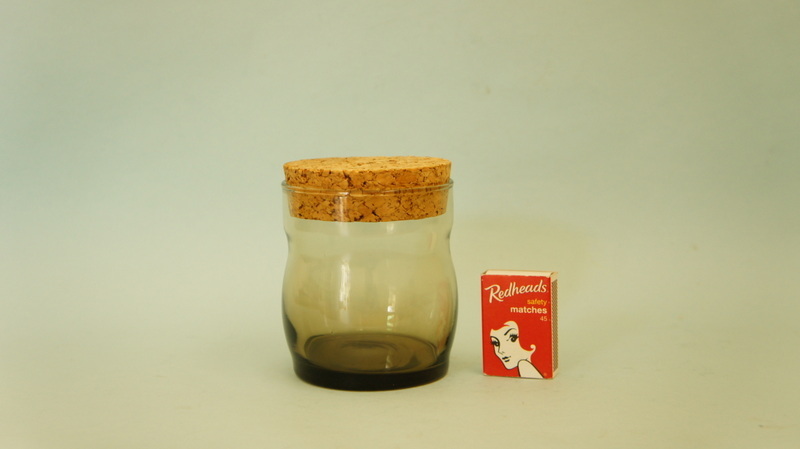 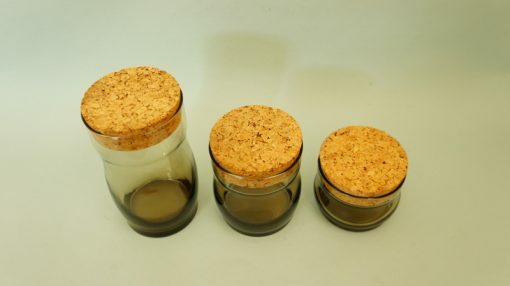 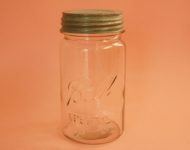 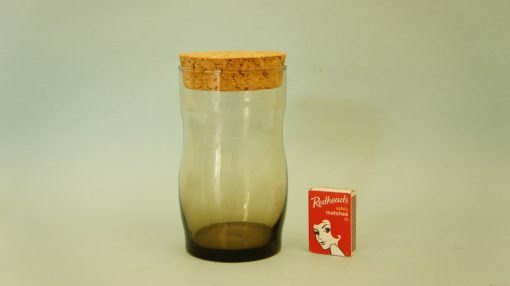 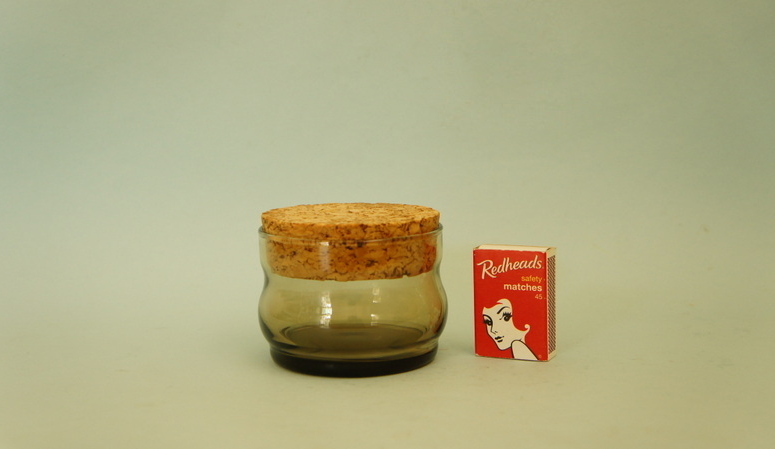 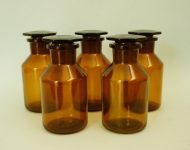 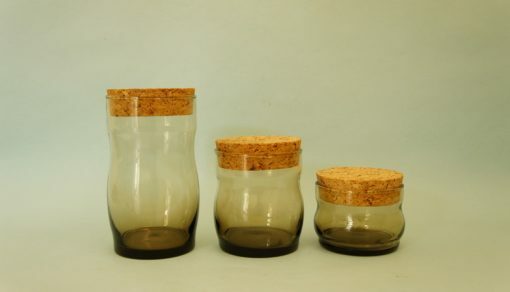 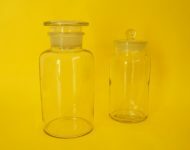 Junkies in Melville has two green glass jars with cork lids that you could pair them up with….